A timeline of all the details that have emerged since the “playlist”-style project was announced last year. 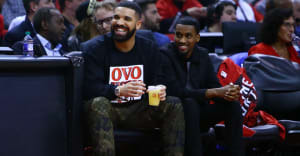 Drake has built up his vast catalog of hits, in part, by regularly dropping mixtapes and surprise collaborations in between his studio albums. If You're Reading This It's Too Late and Future collab What A Time To Be Alive both arrived in 2015 between albums Nothing Was The Same and VIEWS. However, his next project of this sort, More Life, looks set to be a little different — Drake said it was “more like a playlist” when he first announced the release on OVO Sound Radio in October 2016. He also said it would be out on a non-specified date that December. Nearly six months later it has yet to materialize. When approached by The FADER for any information on More Life, a rep for Drake was unavailable for comment. So while we wait for the release, here’s every detail we have learned since the project was announced. Drake announced More Life on a special episode of his OVO Sound Radio show celebrating his 30th birthday. The rapper explained that he's done mixtapes and albums, but now he wanted to provide a "soundtrack to your life." He promised that it will be filled with original material from him and the OVO family. He played three new songs which he said would feature on the project, "Two Birds One Stone," 21 Savage collaboration "Sneakin,'" and "Fake Love." “Fake Love,” “Sneakin,” and “Two Birds, One Stone” all arrived on streaming platforms. “Two Birds, One Stone” included a songwriter credit for Kanye West. Drake and Future collaboration “Used To This” landed online. At the time it is reported that the song would appear on Future’s Beast Mode 16. That project remains unreleased and the song did not appear on either of Future’s 2017 albums either. Bryson Tiller tweeted about a possible feature on More Life. "Started some vibes with Drake today," the Louisville native wrote, adding, "more life." Jennifer Lopez told Ellen DeGeneres about a Drake collab that's in the works. "He just asked me to do a song with him and that's what we've been doing," she said. "We'll see if it's on his next album." Footage of Drake and J-Lo dancing to the song at the Winter Wonderland Prom in Hollywood soon turned up on Instagram. Drake gave a rare interview to Kentucky basketball coach John Calipari's "Coach Cal" podcast. As well as talking about about his beginnings on Degrassi and his plans to get back into the acting game, Drake also gave a short update on More Life. He said the release was designed "to keep people excited, give them new music, let them know I’m still hungry." He continued, "I’m doing it to be remembered as a forward thinker." Drake’s Boy Meets World tour kicked off in Amsterdam. During the show he suggested that More Life would be out by the time he came back to the city in late February. A clip of a new song, reportedly featuring U.K. rapper Giggs, was also played during a break in the show. Oliver El-Khatib debuted a Drake and Wizkid collab titled “Hush Up The Silence” during Episode 37 of OVO Sound Radio. He also offered an update on More Life, assuring fans that "everything’s moving along nicely." During a Boy Meets World Tour stop in Leeds, England, Drake said he was "about a week and a half, two weeks away" from finishing More Life. While in Sweden on tour, Drake posted an Instagram message in Swedish that when translated read: “If you’re reading/translating this, it’s too late,” with the words “More Life, March 4, 2017,” underneath. The post was deleted, but not before fans screengrabbed it. Noah “40” Shebib shut down these rumours the following day, when he confirmed via Instagram that Drake is still finishing the project. Drake announced that More Life will be released on Saturday, March 18.